--High capacity pencil case is a perfect organizer for those who always needs to take in or out pencils to do some painting or sketches. 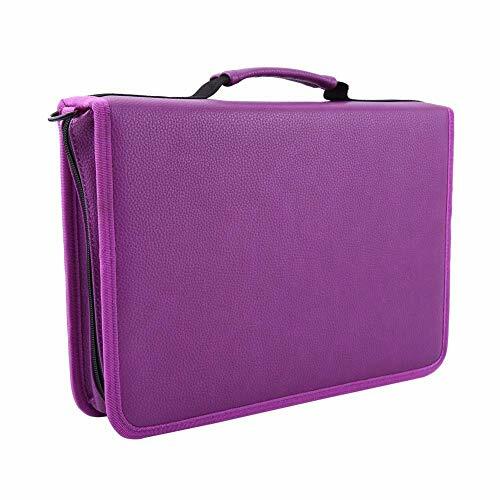 --Our pencil case organizer is made from high quality PU leather and oxford fabric, so as to make the case much more durable and dirty resistance. --There is elastic on each column that is divided into many slots to hold, organize and protect your pencils. --It is designed with a comfortable strap that you can carry on your shoulder.